Math-Each day student's will be taught one math lesson from our Saxon curriculum and will have homework over that lesson. Homework counts for 40% of the student's grade.. Every 5th lesson will be a day for a practice test/review and one day for the test. Tests count for 60% of the student's grades. Every 10th lesson will be a day for the Investigation. These are taught and completed with a partner and count as extra credit. Reading-Each week we will work through a story from our Wonders reading curriculum. We will discuss the vocabulary, comprehension strategy, vocabulary strategy, use a graphic organizer, and discuss comprehension questions about the story. We will also use a interactive notebook, which counts as 10% of their final grade. On Fridays, we take a reading quiz over the story and vocabulary, which counts as 40% of their final grade. We also work on the workbook pages throughout the week and students will finish them over the weekend. This packets is to be turned in on Monday morning and counts from 30% of their final grade. The final piece to the reading grade is Accelerated Reader. We have close to 1000 books in our classroom that students may read, as well as the school and public library. Students will read and take quizzes on books of their chosing. This counts for the remaining 20% of their grade. Spelling-Students are given their list on Monday. We complete one page of the spelling packet per day as our morning work. The entire packet should be completed and turned in on Friday morning and counts as 40% of their final grade. We have a spelling test on Friday, which counts for 60% of their grade. Students should study their spelling words throughout the week at home. Science-We cover one lesson per week from the curriculum. We read the entire lesson together and complete the lesson outline as a class. Students are responsible for the rest of the packet to be completed by Friday. On Thursays, we will do a science lab/activity or watch a science video (Bill Nye, Magic School Bus, Discovery Channel, Sid the Science Kid, etc) that is appropriate for our lesson of the week. Grammar-Grammar also comes from our Wonders reading curriculum. We will have a grammar lesson with homework on Monday, Wednesday, and Friday. Homework will always be due the next class period. Memory Work-Memory work is assigned on Mondays and due on Fridays. We practice memory work as a class every afternoon. All memory scores are out of 10 points. 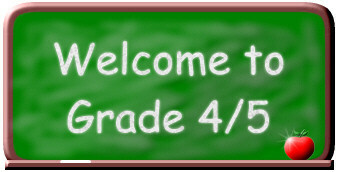 The earned points are based on how many hints or helps they were given during the recitation. If students are not at all prepared for memory, they lose their iPad privledges for the afternoon. PE-PE is done by the month. The first two weeks of the month is the time to learn and play a new game. The second two weeks of the month are "fitness" weeks. We will lift weights, work on cardio, strenght train, and endurance train. Students are required to change clothes for PE (school dress code still applies). Students can earn a maximum of 5 points per day (1. change clothes 2. be in class 3. have a good attitude 4. show good sportsmanship 5. participate).